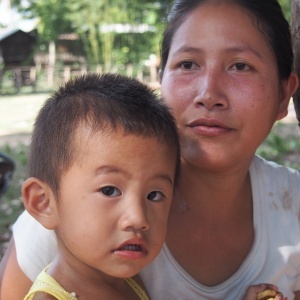 Lao Rural Sanitation – What Motivates Women? Another Option’s social and behavior change communication (SBCC) is designed to reflect target audiences’ personal motivations and beliefs and the cultural and environmental factors that influence them. SBCC strategies range from mass media and digital communication to social impact gaming. It also includes interpersonal communication (IPC) and peer education, and advocacy and public relations to affect policy change and cultural and social norms. Creating an enabling environment that supports individual and societal change requires a strategic approach. Societal and cultural norms as well as policy and regulations are the barriers that prevent change. Advocacy activities range from strategic public relations, thought-leader meetings, and engagement or participation in problem solving. Program design begins with data and Another Option has extensive experience in designing qualitative and quantitative research to offer insights and information about key populations and segment audiences and to design effective programs. Under a World Bank-funded program, Another Option developed a social and behavior change communication program on rural sanitation in Lao PDR. Other donors include UNICEF, Plan International, and SNV Netherlands Development Organisation. Dr. Cecile Lantican led the Lao activity and following a field visit meeting with women in the communities and rural areas she captured her observations in the following blog. From June 7-13, 2015 I joined the team of Another Option LLC, commissioned by World Bank under the Water and Sanitation Program in Lao PDR to observe people’s motivation to change and improve their sanitation practices. This is a new assignment for me after six years working in this country on changing people’s mindset and behaviors that put them to risk when they interact with their domestic animals and wildlife that carry zoonotic diseases. Young Lao Loum girls in their traditional Lao dresses. I attended a ceremony hosted by the Pinh District government in Savannakhet to recognize villages that have made progress in addressing poverty and achieved improved sanitation status (declared Open Defecation free). I talked with Lao women and listened to their stories about their aspirations, needs and motivations that may have influenced their decision to seek for better status in life. I was amazed and fascinated interacting with Lao women from the south who I saw to be very hardworking, loyal to their families, hospitable and warm to visitors. I have worked with rural and urban women in this country, but I noticed that there is limited scientific information about how Lao women make decisions that affect their lives. Ethnic, geographic, and ecological differences create variations in the Lao women’s way of life. Ethnicity persists through language and dress patterns. Illiteracy among rural women is high, especially in certain ethnic groups where cultural attitudes hinder girls from going to school. Parents force them to drop out to assist with the farm or domestic chores. Their capacity to obtain employment and participate in decision-making is severely hampered by their low level of education. More women are engaged in earning income for the family. Early marriage is common among rural women. Most of them marry at the age of 16 or 17 years. A UN report in 2012 revealed that almost twice as many women marry and bear children before the age of 18 in rural areas (43%) than urban areas (23%). The total number of children of women with no education is nearly three times greater than that of women with higher education1. The majority of women, especially those in ethnic communities, suffer from poverty, food insecurity, and unavailability of health services. The Lao women carry a great responsibility in the family. Apart from housework, and child rearing, they are also engaged in generating income for the family through labor-intensive work like collecting non-timber forest products including wild animals, weeding in the rice paddy, harvesting, planting cash crops and selling these products in the local markets, tending their animals, weaving, and managing family food stores. Rural women face complex decision-making when it comes to meeting their basic needs. Most often, they follow their elders’ advice. They feel restrained from expressing what they actually have wanted to happen in their lives. In Ban Sa-phang village, Mounlapamok district in Champasack province, a young mother of a three-year old boy married when she was nineteen. She did not finish primary school because she had to stop and help her parents on the farm. She married the first man who came into her life who promised her a better future since he was working in Thailand. She recognized that lack of education hampered her from finding work outside the farm. Unlike other women in her village who had entered their first year of secondary school and worked as migrant workers, she could not find work off the farm. Anecdotal evidence showed that an increasing number of undocumented Lao women migrate to Thailand as workers in service and domestic sectors, vulnerable to abuse, exploitation and human trafficking. Madame Bunkhong, 55 years old, was one among the attendees of the ceremony in Pinh district. She married at twenty-two and had four children. After college, she worked in a private bank. But after two years, she had to stop working to take care of her sick father and to help her mother manage a small food stall at home. “I gave up my desire of being an employed and earn money for myself because I needed to follow my family’s decision. If I had complete control of my life before, I wouldn’t give up my dreams.” She affirmed that she is happy with her own family now, but it could have been more self-fulfilling if she had decided for herself. “I should decide now for me and my children’s life.” – Mdm. Tongkham, Ban Pinh, Muang Pinh, Champasack. Looking closely at rural women who chose to access improved sanitation, I approached a woman who attended the PSI and district Nam Saat-led sales event for latrines. Her name is Madame Tongkham, 30 years old. She has three children. She married at eighteen. Six months ago, her husband left them. She was aware that he may never comeback having heard that he has another woman. It was her third time attending the latrine sales event in the village. The village council members encouraged her to attend. Earlier, she could not decide for herself because she needed to consult her husband. During this event, she ordered from the sales agent the delivery of one latrine package worth LAK 500,000. She made a deposit of LAK 50,000. “I felt devastated when my husband left. I worry about my three boys, and my old and sickly mother living with us. I have no regular income. My family now only relies on my niece who works in Thailand,” she said. “I did not finish school. I can only do farming and sometimes go with neighbors to the nearby village to harvest coffee beans. From these activities, I earn some amount to buy food for the boys,” she added. What made you decide to have the toilet this time?, I asked. “I have waited for my husband to decide.” She continued in her low voice. “ I need this toilet. I have fears when my boys defecate in the river along with other young boys. Many young boys have died of drowning in the river. My old mother needs it too,” she said. Mdm. Phavoun (left) and Mdm. Khamphet (right) display their certificates of recognition. Laotian women’s confidence and self-esteem increase when they have greater knowledge, economic assets and income-earning capacity. Their low participation in decision-making is often due to stereotypes in their culture, which assign men the role of decision maker in the family and domestic affairs. I met two Lao Women Union (LWU) community leaders at the ceremony. The district government recognized their unwavering support to uplift the living conditions and promote the role of rural women through training and participation in community affairs where their knowledge, skills and decision-making are essential. The two women received training on various women-related issues from the national chapter of LWU that would empower rural women. Under the rural poverty reduction program of their district, they include provision of information on importance of education, sanitation and hygiene. This travel provided me anecdotal evidences that rural women in Lao PDR can decide for themselves and their families. Under difficult circumstances, they can cope with their situation and can find solutions to their problems. They can improve their social status if given the opportunity of social support, correct information and networking. 1 Country Analysis Report: Lao PDR. Analysis to inform the selection of priorities for the next UN Development Assistance Framework (UNDAF) 2012-2015, UN in Lao PDR , Vientiane.